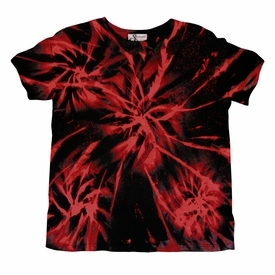 Tie Dye Flowers Supersize T-Shirt. IMPORTANT! Please note that this item is custom made to order and takes approximately 3-10 working days to make. Rush options are available on the Shipping drop-down menu above letting you know when it will leave here, not when it will arrive there! Delivery/Shipping charges are separate and can be chosen at checkout! Depending on the Delivery/Shipping method you choose, that determines how long from the time it leaves here until it reaches you!